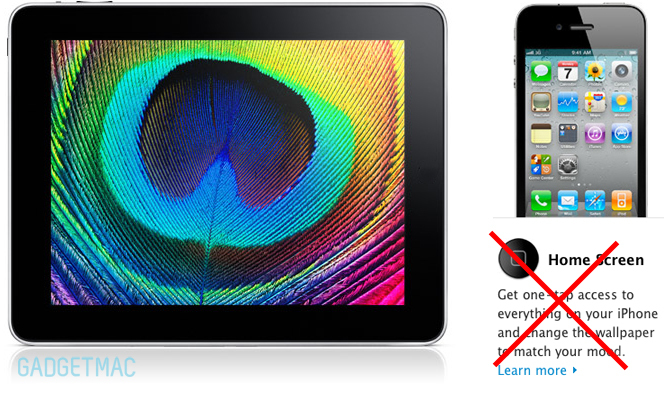 Apple To Remove Home Button From iPad & iPhone? It's rumored that Apple will remove the iconic home button from their upcoming updated iPad and iPhone. Instead of using the home button, you will be able to use the new and upcoming multitouch gestures found in the upcoming iOS 4.3 update. This all makes perfect sense and will most likely allow for a much bigger touch screen on the iPhone. It was said that Steve Jobs never actually wanted any buttons on the original iPhone and with Apple's superb multitouch functionality, it may very be a possibility in the near future. CDMA iPhone To Be International?